Am I Too Old to Learn to Ride a Horse? Perhaps you've always wanted a horse, and now you are finally lucky enough to have both the time and money to make your dream come true. Maybe you once were a horse owner or rider, but life got in the way, and you're now ready to re-enter the horse world. 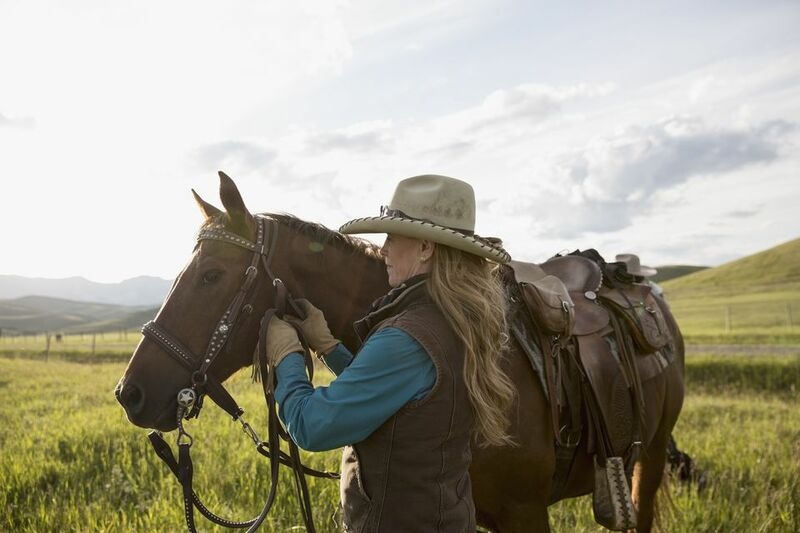 Riding a horse can be an amazing way to spend your pre-retirement or retirement years. Am I Too Old to Ride or Own a Horse? If you can afford the time and money required to own or regularly ride a horse and are in reasonably good health, you're not too old to be an equestrian. There's no reason why people in their 40s, 50s, 60s, and beyond shouldn't enjoy horses and the health benefits that riding them can provide. However, you'll do both yourself and your horse a big favor by being reasonably fit. Riding is a sport, and the more fit you are, the easier it will be. The strength, balance, body awareness, and agility it takes to do many other sports will also help you as you learn to ride and care for a horse. Just plan to go slowly, and be patient with yourself as you learn. If you've decided to learn to ride, the first step is to buy an approved riding helmet. You will also want safe boots and comfortable pants. Then, go out and find a good coach that understands the particular needs of an older rider. A good coach will challenge you without overwhelming you. Riding should be fun, and if it is uncomfortable, intimidating, or otherwise unpleasant, something needs to change. Whether young or old, most people will feel some muscle strain when they first start riding. There are a few muscles along the inside of your upper leg that will feel extremely sore for the first little while because they aren't used in the same way for other activities. Knee pain is also common. Some older riders take acetaminophen or ibuprofen before they ride, and some take it after. Again, horseback riding is a sport, so it's not unreasonable to take care of yourself like an athlete, including weight management, flexibility, and aerobic training. A team of practitioners can help you post-ride, such as massage therapists, chiropractors, and physiotherapists, as can a hot bath with Epsom salts. If you're dealing with arthritis, back problems, joint replacements, or other chronic health issues, these are going to affect how you ride. It's wise to discuss your riding plans with your doctor, but know that lots of folks ride despite the aches and pains that come with age. Falling off is a big worry, particularly for older riders, but you can reduce the chances by riding the right horse, staying in control, learning emergency dismounts and stops, and staying alert. Safety equipment won't prevent a fall, but it will help protect you if you do. Helmets, safety stirrups, boots, and chest protectors will help you feel more confident.